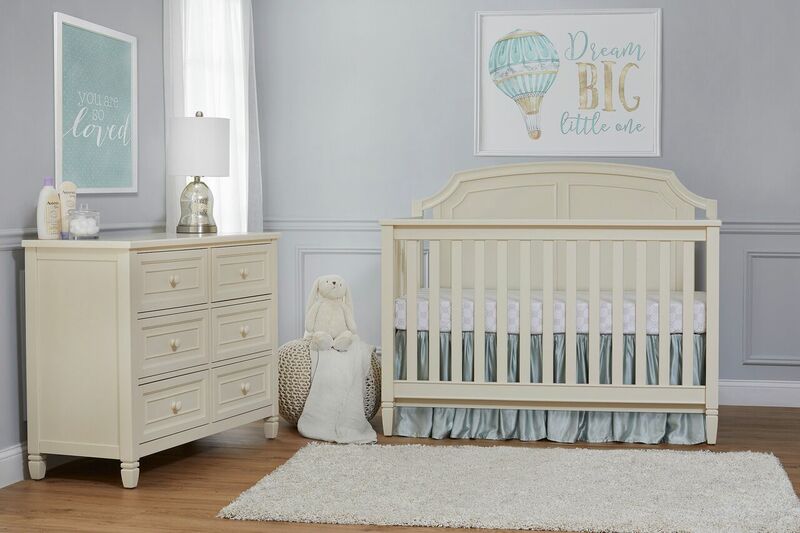 Cradled inside Suite Bebe’s Astoria 4-in-1 Lifetime™ crib, your little one can sleep safely and peacefully every night. The crib’s durable craftmanship is finished with delicate detailing fit for a regal nusery. 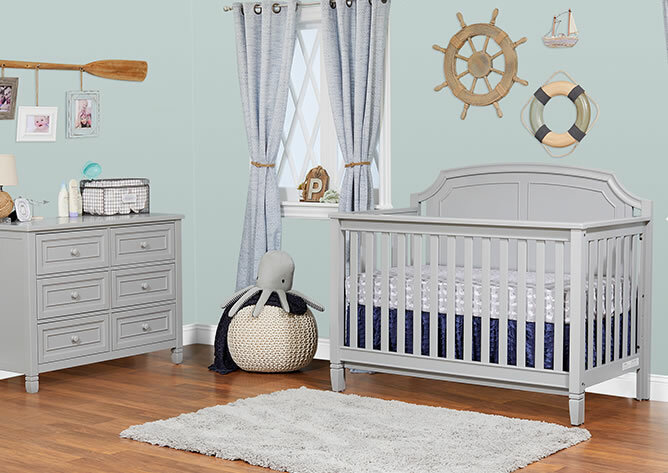 With the convertible crib and its matching pieces exceeding all federal and JPMA safety guidelines, this collection will seamlessly grow with your child through the years. Complete your child’s safe haven with the matching Astoria 6-drawer double dresser, guard rail and conversion kit.